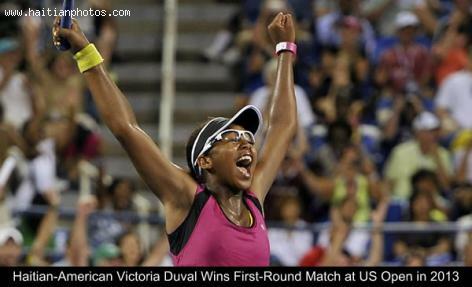 Victoria Duval was born on November 30, 1995 in Miami, but spent much of her childhood in Haiti, including time training at the JOTAC Tennis Academy in Port-au-Prince. She moved back to th Us at the age of eight in Atlanta. Victoria Duval is a right-handed tennis player. Her coach is Nick Bollettieri. Victoria has already received praise from Haiti Prime Minister Laurent Lamothe, who has issued statements expressing his congratulations to Duval for her accomplishment. Awesome story, lovely family, I believe Vickie will continue to win championships, she's a natural at tennis.